Something a little different for my Favourite Friday this week, my Favourite ways to relax and get inspired. We have been so busy lately, which is great, but I have hardly had time to just take time out and enjoy the calm. It is hard to remember that taking time out for yourself is just as important as working all hours. It's often the case that if I am struggling to work something out or finish a project, that stepping away and clearing your mind for a bit can be more helpful than working on, full steam ahead. It can fill you with ideas and solutions that are only visible when you take a step back. On that note, these are the things I will be doing over the next few weeks to get myself back on track. There is nothing better for me than sitting down with a cup of tea and a stack crisp new Craft magazines filled with articles and images designed to inspire! I always start at the back of a magazine and work my way forward, then when I'm done I go through from the front with a pack of sticky notes close by to mark pages and make notes. 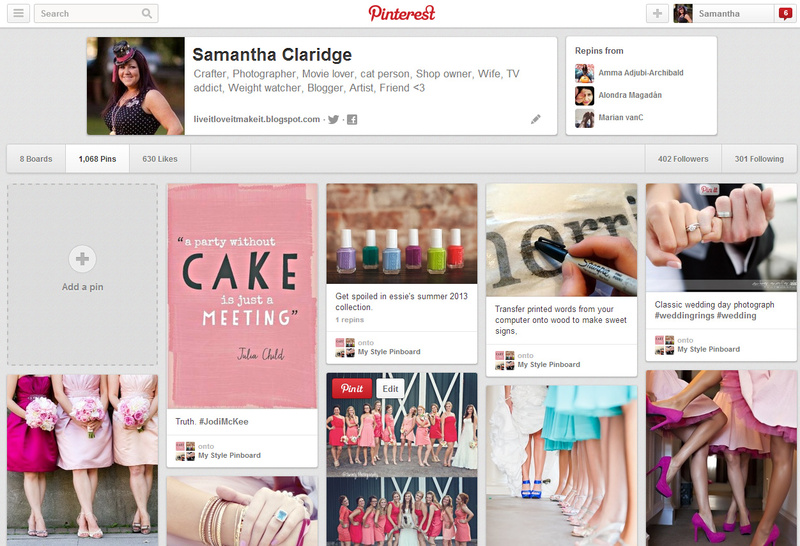 I'm pretty sure I'm not alone in the amount of hours I have lost pinning images to virtual pin-boards!?! I have been on Pinterest since the beginning and I still can't get enough, I Love going through pages and pages of inspiration and ideas. I am married to a gadget-aholic which has it's advantages, like when he bought an Apple TV... I thought 'oh here we go another fruity gadget' but we are on version number three and it is hands down the best thing he has ever bought! I can rent a movie at the flick of the remote, it doesn't take up any space at all and you can get TV shows, music, radio and pod-casts on it as well. Basically you can view you entire i-Tunes library including pictures on your TV through this little box! I love nothing more that sitting down in front of our TV in my Barker lounger and watching a movie, Popcorn in hand of course. 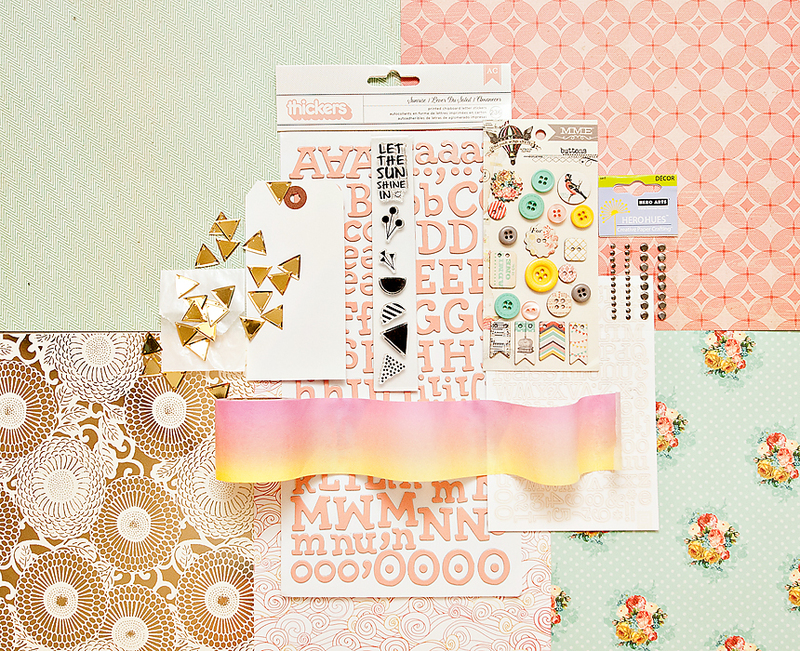 I am a member of Studio Calico, a monthly kit club based in the U.S. Every month I get sent a selection of awesome co-ordinated paper-craft goodies in the post. I love this company in particular because they pull together some of the best names in paper-craft and include them in the kits. The likes of Dear Lizzy, Amy Tangerine, Basic Grey and their own lines are some of the best products around. It is so fun to create things like mini books, cards and gift wrap out of these kits. I get totally stuck-in and hours can pass while I am creating in my craft room. 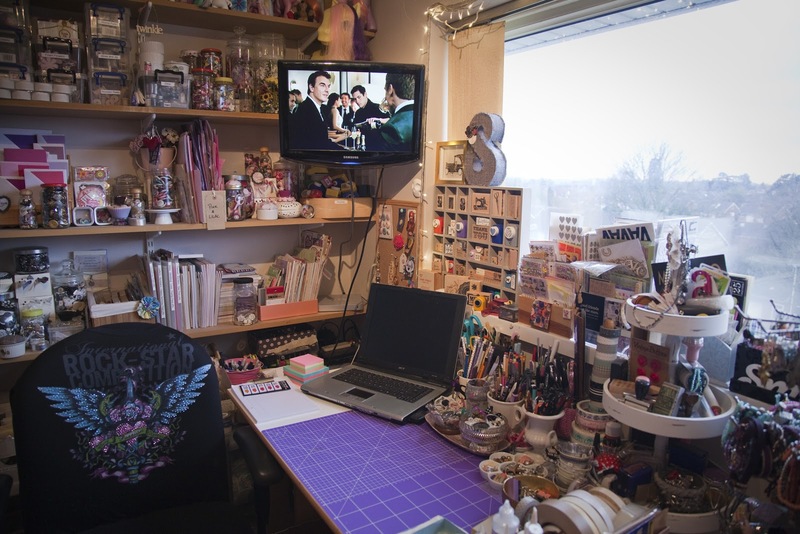 It may not sound very relaxing, but for me tidying my craft space can be very therapeutic. I put a good movie on, something like Dirty Dancing and sort out some pretty things. Whether it's rummaging through my button jars or sorting my fabric stash, I always come across a little something that sparks an idea. I always clear my desk first, so that if I do find something to make that just cant wait, I have a clear desk to work on. I am so lucky to have a space all to myself to indulge in my creativity. I really want to hear from you guys today! leave a comment below and let me know what you do to chill out and get inspired. Sammy has a great workspace doesn't she. I am like you Amy, a small space in my bedroom. one day! Love hearing about different ways we go through mags. I (H) go for the flick through with a quick scan and then go back through and read it page by page. I just don't want to miss anything!